Hope. For many women and couples on the brink of pursuing fertility treatments, that is all they are asking for. Just a little bit of hope. Typically, months and years of trying and failing have already passed by, their spirits beaten and broken down as their dream of building a family has slipped further and further away. They yearn for that hope – the kind which allows them to believe achieving that dream could still be possible. Often it is hope which is found once more in the doctor’s office, promises of possibilities and options renewing the optimism which had otherwise faded away. And in many cases, it is a renewed hope which is justified – because fertility treatments can lead to the baby you still ache for. But there are also many cases where those treatments fail, and even when they don’t – there are risks involved. Understanding the risks of hormonal fertility treatments prior to moving forward with those options can be an important first step to arming yourself with the information you need to make an informed decision. 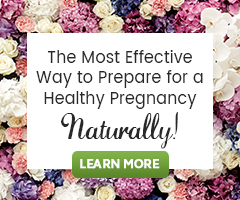 Typically, these are mild in nature and most people don’t have to worry about severe reactions to fertility drugs. Side effects such as nausea, fatigue, restlessness, headaches and irritability can be common, but you should always contact your doctor immediately if you experience a drug reaction that is more concerning or unexpected. Hormone treatments meant to increase the number of eggs produced also carry the risk of leading to multiple births. For some families who have struggled against infertility for a long time, the promise of multiple babies in one try can actually seem tempting, but with each additional fetus comes an increased risk of complications. The complications include preterm labor, low birth weight, and miscarriage. Even twins carry an increased risk, so care should be taken whenever pushing forward with a cycle that may result in multiple births. When it comes to In Vitro Fertilization (IVF), many fertility specialists are starting to move towards only transferring 1 embryo per cycle for these reasons, with only rare instances of transferring 2 or more for patients who are over the age of 40 or who have experienced multiple cycle failures already. Most often associated with In Vitro Fertilization, Ovarian Hyper-stimulation Syndrome (OHSS) occurs when the ovaries are over-stimulated and produce far too many eggs for one cycle – often in the range of 25 to 50. This can be a severe complication, with risks including ovarian torsion and rupture. With close monitoring, however, OHSS can be prevented or at least detected early on. Symptoms often include severe swelling and bloating of the stomach, drastic weight gain, shortness of breath and stomach pains. If you are experiencing any of these symptoms while undergoing IVF, contact your doctor immediately. When it comes to the increased risk of ovarian and breast cancer, studies have so far produced conflicting results. There are some studies which have found a link to future cancer development, and others which have shown previous fertility treatment patients are no more likely to develop cancer than anyone else. The theory is that the heavy hormonal dosages involved in these treatments could trigger these hormone-related cancers, but the jury is still out on whether or not that theory actually has any legs. If you do choose to pursue hormonal fertility treatments, it is simply important to remain aware of the possibility of increased cancer risks, and to follow up with your doctor should you have any concerns down the line. In the same realm of possibilities, the potential increase of childhood cancers has also been tentatively linked with babies born from IVF, with some studies showing that link, while others have found no such connection. It is important to note that even if a link does exist, there is no conclusive evidence that the link is tied to the drugs involved. In fact, some theorize that it could actually be tied more directly to whatever the underlying causes of infertility were in the first place. Still, it is always a good idea to remain aware of these possibilities and to keep a watchful eye out for any future potential problems. A 2012 study found a slightly increased risk of birth defects in babies born from IVF over those who were more traditionally conceived. These increased birth defects included malformations of the eye, heart defects and defects of the reproductive organs and urinary system. Again, it is important to note that there has yet to be any research looking into whether this increase may be caused by the drugs involved or by the underlying reasons for infertility. At this point, we do not know if hormonal treatments are to blame, but it is a potential risk to remain aware of. In general, there will always be risks to any medical treatment you ever opt to pursue. Fertility treatments are no different, and neither are the drugs involved. Arming yourself with the knowledge of potential risks prior to pursuing treatments is the only way to ensure you are aware of what to expect should complications arise. Pay attention to your body and listen to your gut when it comes to deciding whether or not to take these risks on, keeping an open line of communication with both your medical and natural health care practitioners in order to monitor any possible issues.